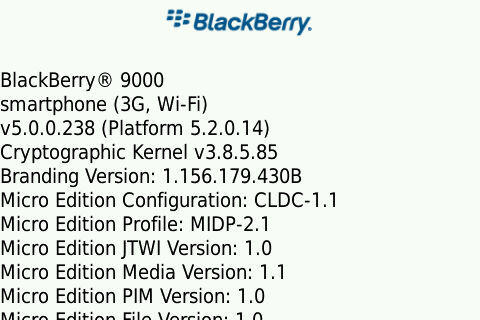 Leaked: OS 5.0.0.238 for the BlackBerry Bold and Curve 8900! Seriously Bold and Curve 8900 owners... you didn't think we'd leave you hanging too long did you? If you listened to CrackBerry Podcast 042 you'll know I've fallen in love with my BlackBerry Bold all over again so seeing version 5.0.0.238 firmware leak brings some serious joy to my CrackBerry heart. As with all of our leaky leaks - install with caution and be sure to jump into our Beta OS forums for findings and help.